White House has released a statement accusing Acosta of "placing his hands on a young woman just trying to do her job as a White House intern," calling it "absolutely unacceptable." The White House has said that it has suspended the press pass of CNN White House correspondent Jim Acosta. They began sparring after Acosta asked Trump about the caravan of migrants heading from Latin America to the southern US border. 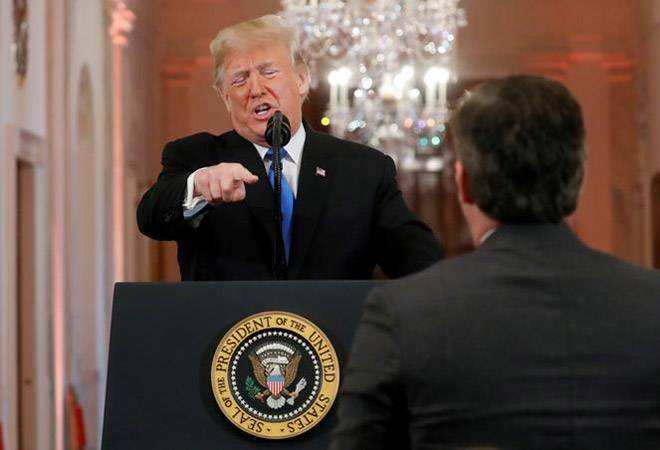 When Acosta tried to follow up with another question, Trump said, "That's enough!" and a White House aide unsuccessfully tried to grab the microphone from Acosta. The president complained that the media did not cover the humming economy and were responsible for much of the country's divided politics. He said that "I can do something fantastic, and they make it look not good."